That’s it. 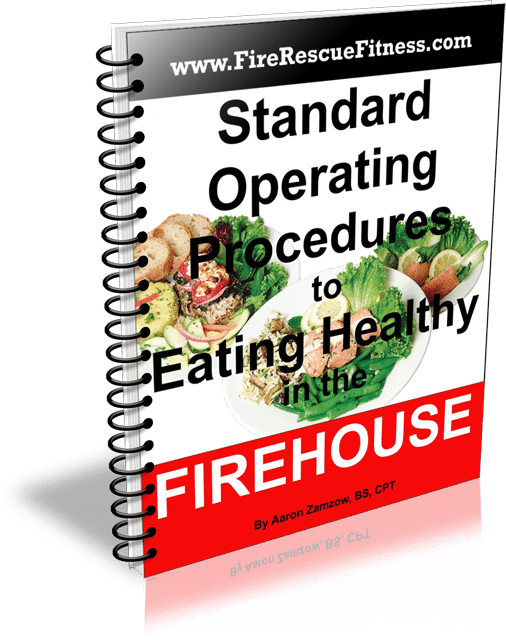 The reason why one ingredient whole foods are the best for you is that they contain zero processing and zero artificial ingredients that have been linked to increasing inflammation. 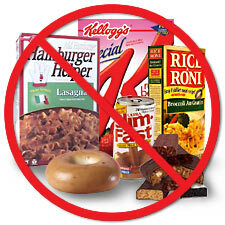 One of these common ingredients is high fructose corn syrup (HFCS). HFCS is a man-made sweetener that is 20 times sweeter than sucrose (table sugar). 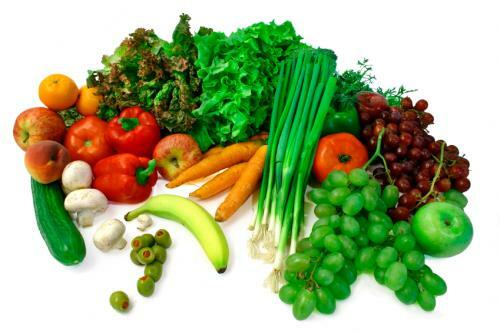 It is mainly found in soft drinks and fruit juices. Americans as of 2001 were ingesting on averaging 63 pounds of HFCS per year! The health implications to consuming HFCS are that it has been shown to raise triglyceride levels,which are a precursor to heart disease. Elevated triglyceride levels are related to high insulin levels which promotes fat storage, inflammation and is a precursor to Type II Diabetes. Obviously you want to avoid HFCS along with other processed ingredients. 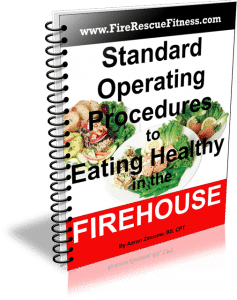 Another reason to stick to one ingredient foods are that they are the most naturally nutrient packed, which provides you with the maximum enzymes, nutrients, and energy to fuel your body with. Plus, they are satiating and are the exact foods nature intended us to eat. Some of the best ones in the grocery store don’t even have a label… (keep in mind that if the food doesn’t have a label on it that’s usually a dead give away that it’s probably a one ingredient whole food.) 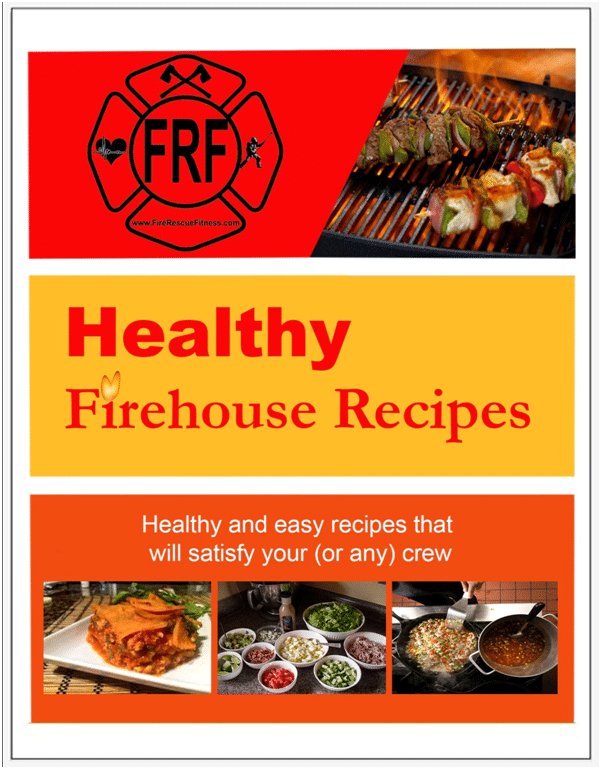 So next time you are preparing a meal at the firehouse or for you family, try to include one ingredient foods and stay away from the processed ingredients. Once again, read your labels and consume more water while decreasing your intake of soft drinks and fruit juices. 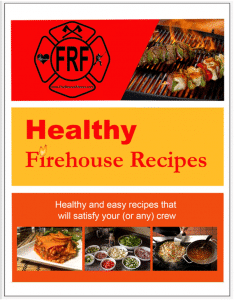 If you are looking for more healthy recipes along with great guidelines to eating healthy in the firehouse…Right NOW you can get the SOPs to Eating Healthy in the Firehouse along with Healthy Firehouse Recipes Cookbook with the purchase of any Fire Rescue Fitness Workout Program (click here).